We can monitor your existing system with rates starting at $17.95 a month. Contact us for more information. 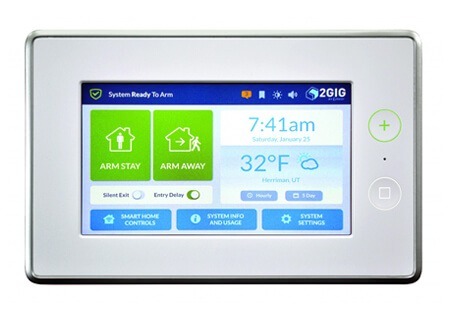 The First All-In-One Security & Home Management System! There is virtually no price that you can put on the safety and security of yourself, your loved ones, and all of your property and personal effects. Luckily for you, protecting your residence and all of the valuables that your home contains doesn't have to cost you a fortune! AEON Systems offers a comprehensive line of residential security services and alarm systems to assure that your property gets protected from threats of intrusion or fire. 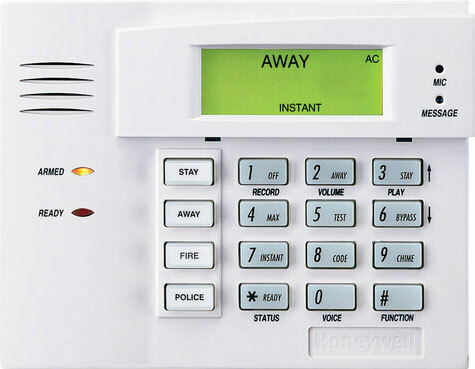 Our home alarm systems can get customized to meet all your security needs. Our team of residential home security experts in Arlington TX are here to answer any questions you have about how to best protect your property, including indoor and outdoor camera placement, and home security monitoring. With over 35 years serving our friends, family, and neighbors in the Arlington, Texas area, we pride ourselves on offering our clients cost-effective surveillance and home protection. Alarm Monitoring - Our Alarm Monitoring Services keep you and your family safe in the event of an emergency event such as an intrusion or an unauthorized entrance to your property. 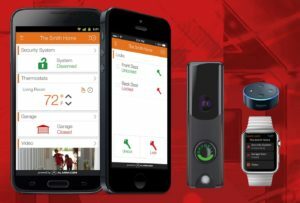 When activated, your security system communicates with our operators to alert them of the potential danger. Our home security monitoring staff immediately contacts first responders such as law enforcement or EMS services in response to a valid threat. Fire Alarms - There is nothing more devastating than being a victim of a house fire. Fire Alarm Systems by AEON helps to safeguard your loved ones, your belongings, and the home you've worked so hard for against deadly and damaging fires. Our fire detection systems are customized to detect and monitor for smoke and fire. If fire or smoke is detected, the fire alarm system will alert first responders to fight the fire. Interactive Security - Sometimes it isn't always possible to be at home. As you can imagine, that puts your home at added risk of intrusion. 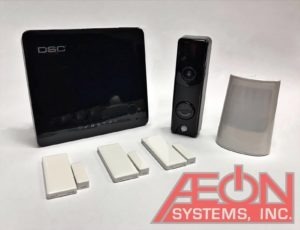 Interactive security solutions by AEON offer a higher level of security while you are away from home by keeping you connected with home automation and interactive protection. Our five-star services help you keep your finger on the pulse of your homestead, even if you are thousands of miles away from home! Digital Video Surveillance - Do you want to know exactly what is going on in and around your residence? If so, digital video surveillance services provided by AEON empower you with high-quality cameras that can get installed indoors and outdoors for maximum security. Cameras mounted by your front door are helpful for identifying visitors before opening the door for them or capturing live video and images of individuals who have targeted your porch for package thefts. If you have a large property, digital video surveillance is helpful for monitoring remote areas of your premises. A professionally installed security system also offers the benefit of potentially lowering the premium on your Home Insurance policy. Homeowners who go the extra mile to secure and defend their property from theft, burglary, and fire are far less likely to fall victim to these crimes than a homeowner who hasn't taken preventative measures to secure their house from these threats. For this reason, many primary home insurance providers offer clients who have an active home security systems policies lower premiums as a bonus for proactively using a home security system to protect their assets.